Hello! Today we’d like to tell you one interesting story which happened in a well-known company of our country! 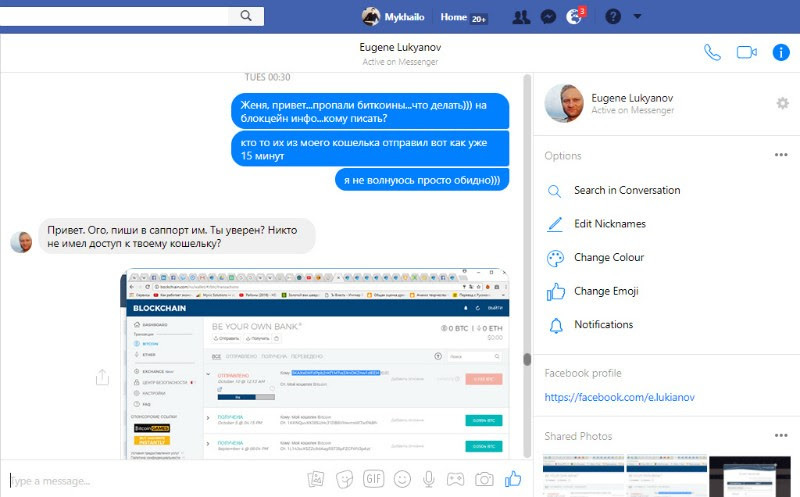 Mikhail Bondar, employee of International Translation Center Myvic Solutions LLC rendering services of document translation, simultaneous translation, software localization, dubbing, voice over has registered a bitcoin-wallet at #blockchain.info. For several months long, he checked and recharged this wallet with Bitcoins (and was planning to replenish it with a big sum) from time to time. 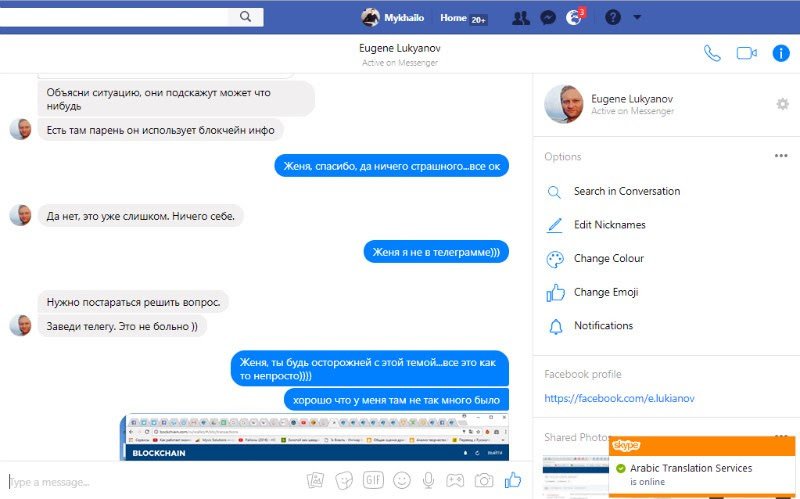 This employee has worked in the Ukrainian securities market for 3 years (so he is aware of necessity to keep passwords and access data strictly confidential). 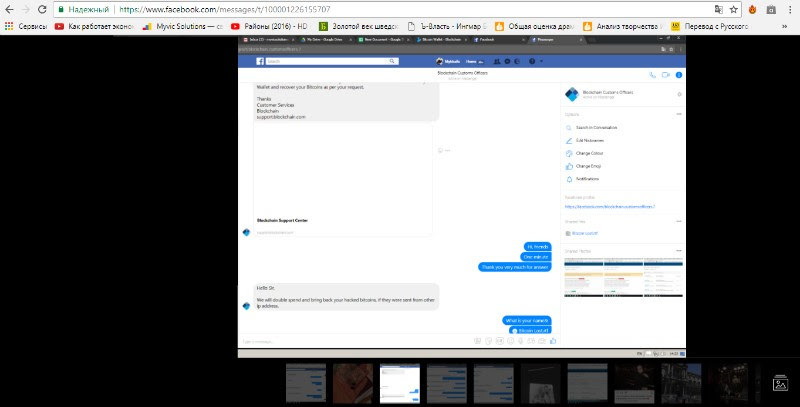 We opened the wrong site – www.bockchiain.com (entered our password) and the frauds got the access to our wallet (that site took a top position in search and looked absolutely the same as #blockchain.info – the scammers did not spare money for advertising …). We have no idea how they managed to withdraw our money (I guess those guys know their stuff, for sure). (“Hi guys. Help me please. My Bitcoins have been stolen. 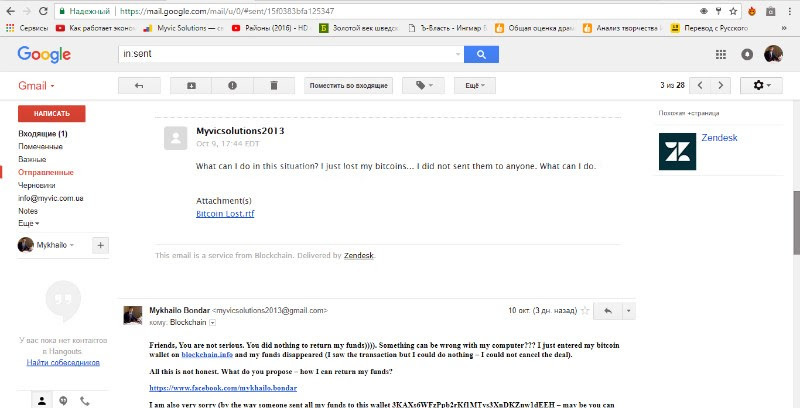 I logged in at about 00: 15 … and saw my Bitcoins being withdrawn… in a few minutes…at blockchain.info – I bought them at https://btc-trade.com.ua/finance and transferred to blockchain.info… I thought it would be securer… So that’s my situation…Thank you in advance for the response. Please take a look at attached script…Thank you very much. And he wrote to support service of blockchain.info. And they gave the runaround again. 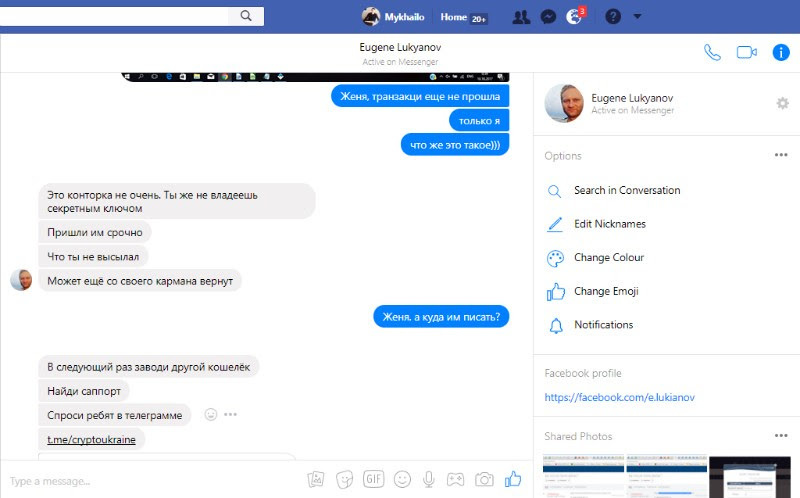 The thief wrote him on Thursday at 11:30 (the thief, who introduced himself as an employee of #blockchain.info) and promised to return money to Mikhail… Mikhail was very glad… But when he read a request to replenish the wallet with the same sum, he has understood everything! The thief has also requested wallet ID and 12 secret words and Mikhail gave them… (since his wallet was empty anyway). 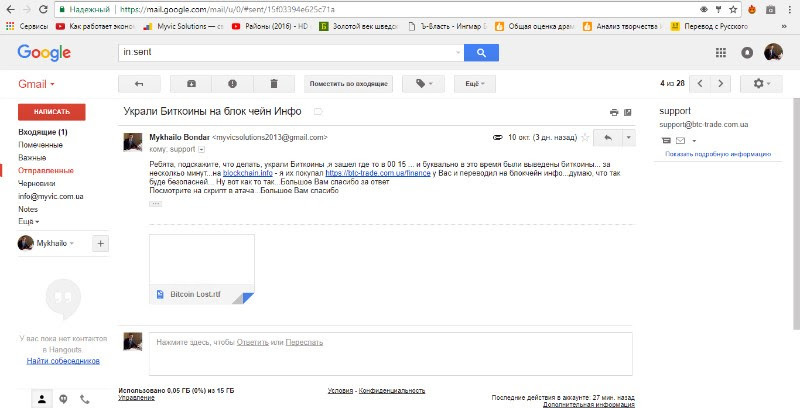 At first he was about to believe them, but when they asked to send 0.193 Bitcoins to the wallet)))) — Mikhail got it. 1KvfnaQmbkDMfUND8vsVX4UtDQdGos36iJ (this wallet was replenished with4 Bitcoins), and that’s only the tip of the iceberg. 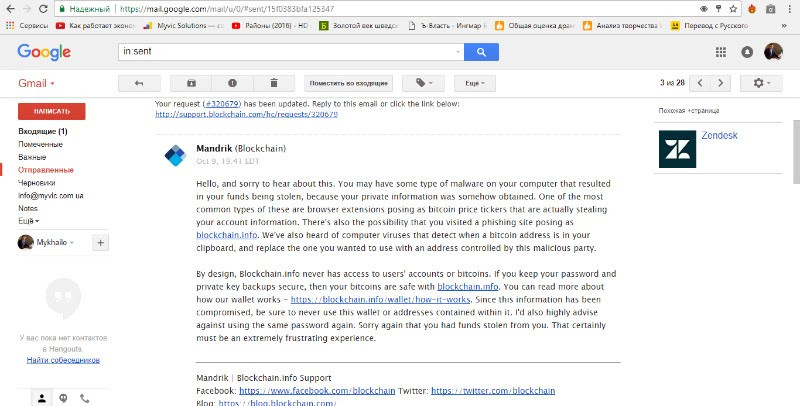 Is it a fault of blockchaininfo ??? Their support service did not answer! They did not want to investigate the case and simply ignored us. So there are our fault and their fault as well. So watch out and don’t be indifferent! Now we want to sue blockchain.info at the European Court (the wallets our Bitcoins have been transferred to were replenished with 22 Bitcoins within a several days. And that’s 130 thous. dollars which have been stolen from someone! Let’s struggle against it together). https://ru.wikipedia.org/wiki/Blockchain.info — this is not the worst company in the market. Nicolas Cary and Peter Smith – these guys rule the company. P.S. We do respect Blockchain.info company. They know their business inside out! We want them to contact us and to investigate our case. This will make them stronger (which is very important for us, simple customers. We know at least 7 persons, who have lost their Bitcoins at blockchain.info (and there are much more deceived people around the world). 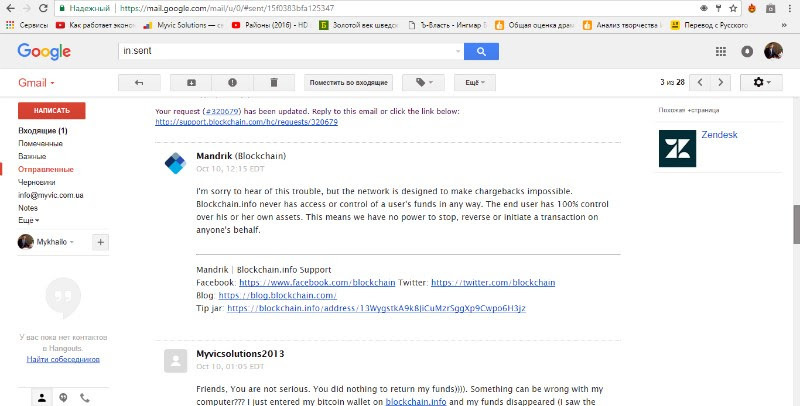 Support service does not react, they do not answer, and people continue loosing their money and Bitcoins and have no place to complain to — #blockchain.info company simply ignores them). We respect all enterprises including #blockchain.info and are open to dialogue. 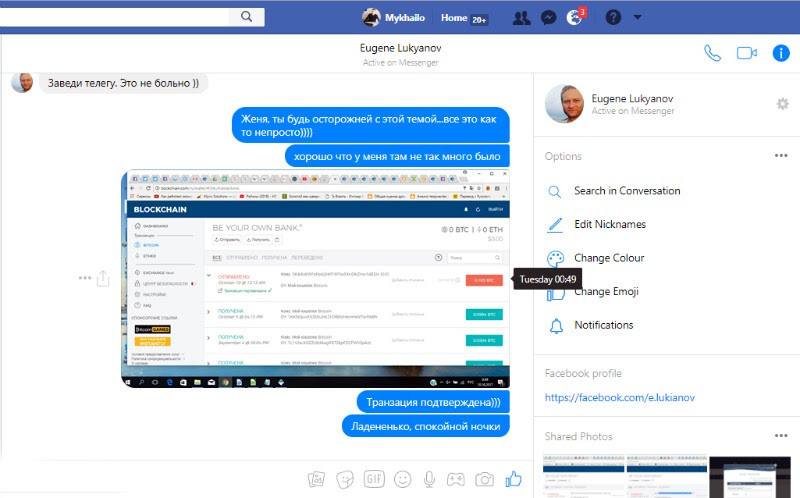 We have created out cryptocurrency called TRANSLATIOIN at Waves platform (here you can download the wallet and send us its address to info@myvic.com.ua with “Cryptocurrency – TRANSLATION” in e-mail title, and we’ll send you 200 TRANSLATION TOKENS for free). We invite talented guys for ICO development and promotion of our TOKEN. We invite also translators, simultaneous interpreters, managers, and partners worldwide to cooperate with us and join our team. We look forward to your letters, guys!